This recipe takes some hands-off time, but is really simple. I used smoked paprika, but you could substitute other herbs and spices to make this recipe your own. In a pie plate, mix the flour, cornstarch, one teaspoon salt, 1/2 teaspoon pepper, and one tablespoon of smoked paprika. Transfer about 1 1/2 cups of the mixture to an airtight container and set aside. In a large glass or ceramic bowl, whisk the buttermilk, one tablespoon salt, 3/4 teaspoon pepper and one tablespoon of smoked paprika. Dip the chicken pieces into the flour in the pie pan, covering completely, but lightly, and then submerge in the buttermilk mixture. Cover and refrigerate at least three hours or up to overnight. When you are ready to fry the chicken, place a wire cooling rack over paper towels. In a large cast-iron skillet or other heavy skillet or pot, heat the oil to 350 degrees F over medium heat. (A small cube of bread should brown in less than one minute.) Transfer the reserved flour mixture to a clean pie pan. In batches, remove the chicken from the buttermilk, letting the excess drip off a little, and dredge in the flour mixture. Fry the chicken until golden brown and cooked through, about 20 minutes per batch, turning once. If it browns too quickly, turn the heat down slightly. When the chicken is done, transfer to the wire rack to cool at least five minutes. thanks! 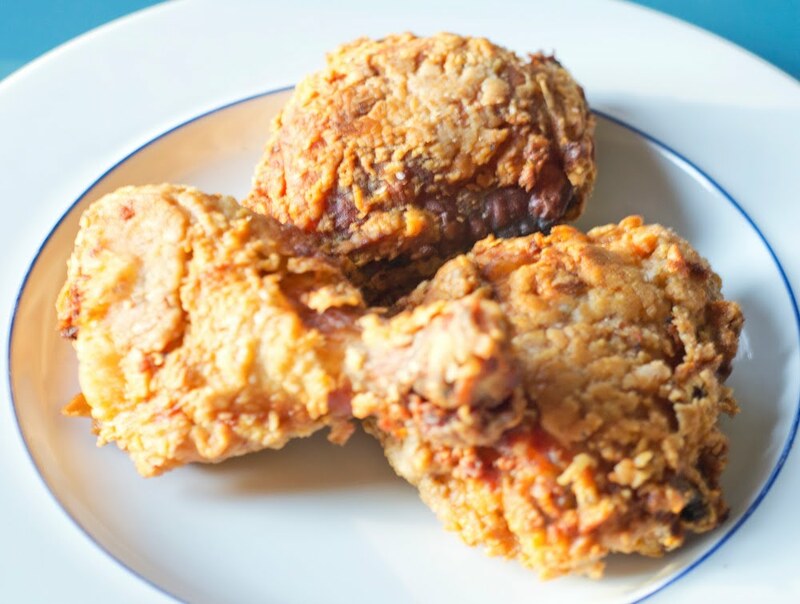 I devour all fried chicken recipes. I like the Keller one-he brines the chicken but doesn't soak in buttmilk. But I think soaking in buttermilk is the way to go. Since it gets just a little much cooler, a person cantart towap your own t-shirts in order to longleeved covers as well as yourhirts with regard to jumpers without having dropping some of thetylishness related to your own replica patek philippe. When you are having a informal appear, take a bit of gymhoetyle coaches upon and when it'something the littlemarter you are hoping for, a pleasant piece of brogues or even ankle joint duplicate totes is going to do properly. When you experience apecial evening prepared, group your own hermes victoria bags the longleeved ribbons best or perhaps a thighkimming wraparound. External put on can also be the cinch as well as you will find not many duplicate totes which do not appear excellent using these pants, through restricted duplicate totes in order to large, large winter season phony totes. Accessorise along with replica watches uk caps as well as oversizedcarves for any adorable, cosy appear. Once you have obtained your hands on the great piece of wowomenskinny duplicate totes andtarted experiwomenting with the excellent appears you are able to pull off in them, you will seldom wish to put on other things. The actual fake handbags outlet appear can be quite becoming in order to wowomen of age range if you are prepared toay good-bye toome from the much more risqué favourites. Having a fewimplewaps, you are currently halfway presently there. Pitch the actual tiny small minikirts towards restricted dark pencilkirts andwap vibrant red leopard printing leggings with regard to a bit of muted metal salt leggings. The actual replica breitling watches appear is about mindset, e search for methods for you to sculpt lower thetyle without having dropping the intention.